...a.k.a., guess who got a scanner?! 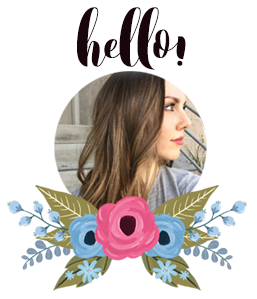 A.k.a., guess who is still learning to use her new scanner?! Scanner lesson 1: if you don't want to take the paper off the ring binding, the pictures are going to be a bit blurry. So please forgive the blurry edges! The pictures in this post are roughly chronological (although I haven't included all the doodling I've done or the failures, haha), so this blueberry is the first thing I painted. I tried to follow a tutorial picture I found on a Chinese Pinterest-type site, but, well. It wasn't as easy as it looked. I had to use white watercolour in this too, because I totally lost the white. At least I learned here that a) my paper buckles and b) I am not comfortable with wet-into-wet! The next thing I painted was this pomegranate. I did this with a random reference from Google images and I actually really like how it came out! I impressed myself with this one. 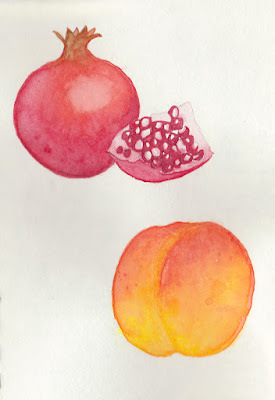 The peach I did a while later, and I'm not as happy with it, but at least the colours are quite pretty. 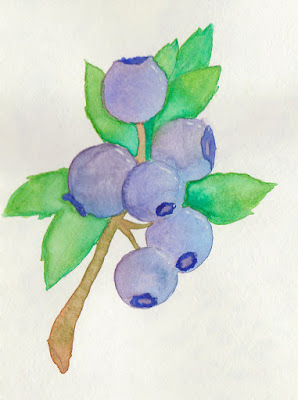 This one I painted with the help of this tutorial from Inkstruck Studio. I think this one is quite pretty too! I've been realising lately that Alizarin Crimson is basically my favourite colour. And finally, I just did this one a couple nights ago. 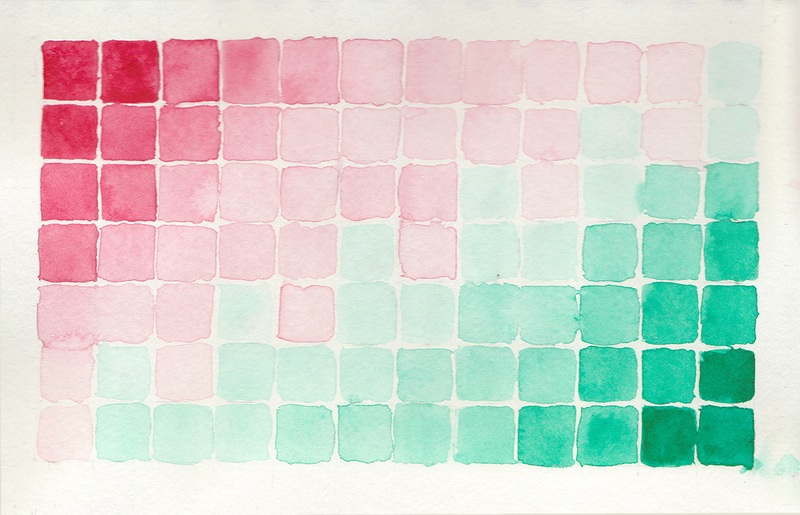 It was inspired by a picture of a watercolour grid I found, but I unfortunately don't remember the source anymore. Again, not perfect, but it was a fun exercise! 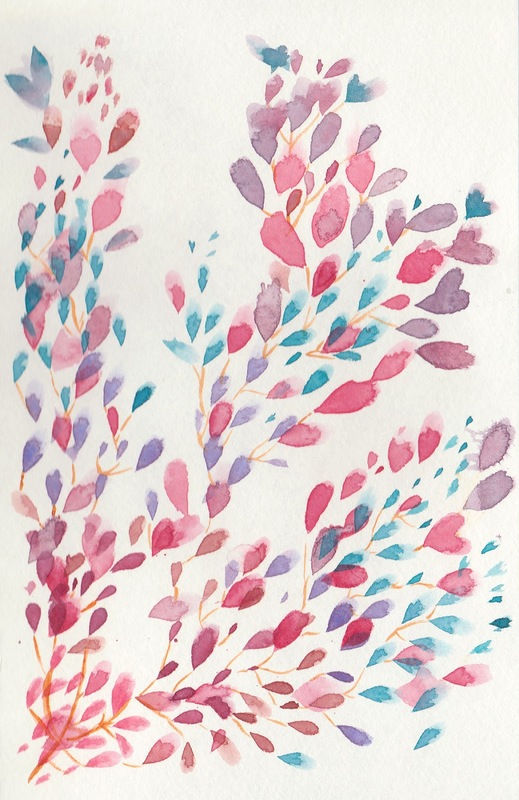 I've been really enjoying watercolour and I think I am slowly getting better at, a little bit at a time.